Don Colleran's next auction on October 18 will include properties in some of Galway's most sought after areas, making them of equal interest to first time buyers, investors, and those looking for a family home. No 129 Castlelawn Heights, Galway, only a 15 minute walk from Eyre Square, is a real gem. This three bedroom semidetached home is in great condition throughout with many extras which you must see for yourself to fully appreciate. Ready for immediate occupancy, accommodation includes entrance hall, sitting room with open fireplace and back boiler offering dual central heating, dining room, new fitted kitchen, and downstairs toilet. All of downstairs has recently been fitted with very attractive flooring. On the first floor there are three bedrooms and a new bathroom, and the attic has been part floored and fitted with a folding attic stairs for additional storage. No 129 Castlelawn Heights is tucked away in a quiet cul de sac at the back of the estate and is only a 10 minute walk from NUIG . Final open viewing this Saturday 11am to 11.30am. 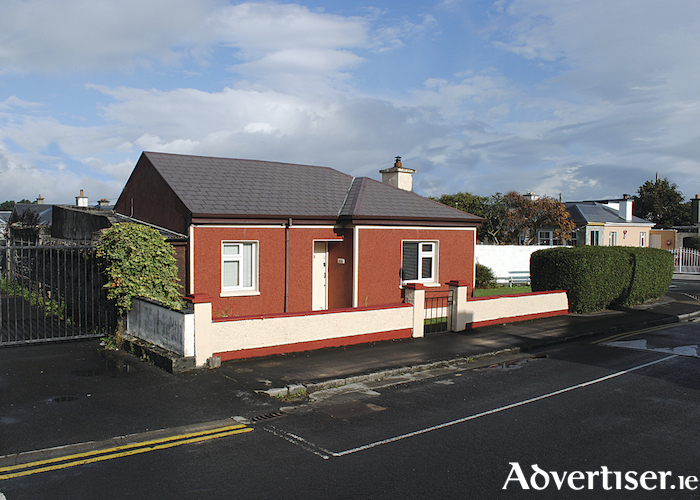 Advised minimum value is €225,000. Also included in the auction on October 18 is No 10B Laurel Park, Newcastle, a bright, spacious, three bedroom first floor apartment less than a 10 minute walk from NUIG and UHG. This property is in good condition throughout but would benefit from a little TLC. Due to its location, spacious accommodation, and private garden which you seldom find with apartments this property will have broad appeal as a home or investment. Accommodation includes entrance hall, sitting room with open fireplace and back boiler, fitted kitchen/dining room, three bedrooms, two of which are large doubles, and a bathroom. Whether you are looking for a city centre home, a gilt edge investment, or somewhere for your children to stay while attending college in Galway, this property ticks all the boxes. Advised minimum value is €160,000. Final open viewing this Saturday 12 noon to 12.30pm. No 23 Upper Fairhill, Claddagh, offers a rare opportunity to acquire a detached bungalow in one of Galway's most sought after locations. Built on a large corner site, this attractive home is just a three minute stroll to Salthill Promenade or the Claddagh Basin. Accommodation includes entrance hall, sitting room with solid fuel stove, and beautiful kitchen/dining room with a generous range of built-in units with granite work tops. There are two bedrooms and a bathroom. Heating is oil fired in addition to the solid fuel stove. There is a small paved back yard which is a sun trap for the afternoon sunshine. Due to its unrivalled location, charm, and character, this home is really something special and needs to be viewed to fully appreciate. Advised minimum value is €340,000. Final open viewing this Saturday 1pm to 1.30pm. It is certainly a case of quality over quantity at Don Colleran's next auction as all properties are in very desirable and much sought after locations within Galway city. No 14 Whitestrand Road, Salthill, is a spacious 1920s residence on a large site in the heart of Lower Salthill, only a five minute walk to the promenade or city centre. Filled with many original features and charm, the bright, spacious, accommodation includes a entrance hall, sitting room with open fireplace, living room with open fireplace, large dining room with solid fuel stove, fitted kitchen, and utility with toilet. On the first floor there are four bedrooms, all with en suites. In the attic there are two additional bedrooms and a bathroom. If more living accommodation is required there are three additional independent living units in the form of two chalets and a two bedroom converted garage which could be rented out or incorporated back into the house. The large site offers lots of room to extend subject to planning. Advised minimum value is €500,000. Open viewings Saturday 2pm to 2.30pm.